Keeping your dog fed while you are dealing with day to day life can be challenging for some pet owners. 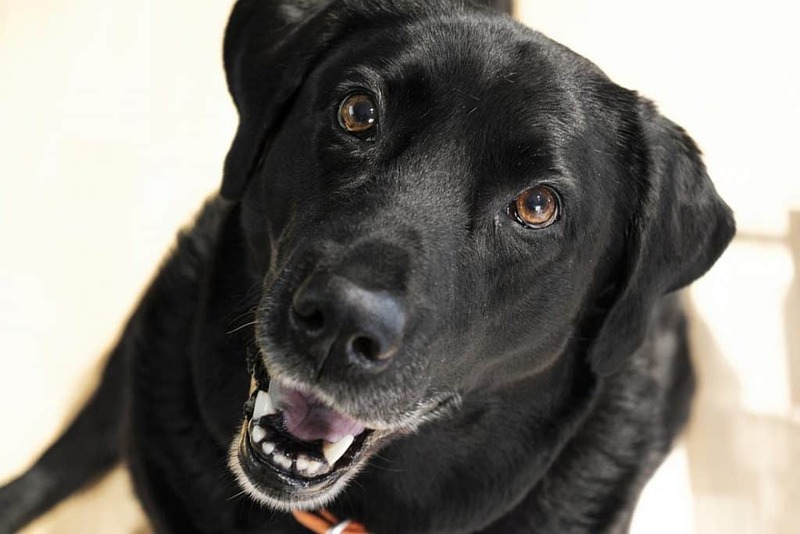 Perhaps you have to leave in the morning before your dog is willing to eat, or maybe you work late hours, making it difficult to feed your pet dinner at a reasonable time. Fortunately, there is a solution: Automatic dog feeders. Automatic pet feeders are a great way to keep your dog’s eating schedule consistent, and they’re incredibly convenient for pet owners on the go. We’ll recommend five of the best automatic dog feeders for large dogs below, but first, we’ll talk about the situations in which they may be helpful, and some of the things to consider when you start shopping. Pets thrive best when provided with a fairly consistent feeding schedule. It helps to keep their bathroom habits regular, and it prevents them from feeling hunger pains when they’re forced to wait longer than normal. 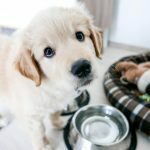 So, owners who work long or irregular hours will often find that an automatic dog feeder helps to ensure their dog eats breakfast and dinner at about the same time each day. If you travel a lot, you’ll obviously need to make arrangements for your pet’s care while you’re gone. You’ll need someone to come over and let your dog outside to go to the bathroom several times a day, and you’ll need them to just check up on your pet’s wellbeing while you’re away too. But with an automatic feeder, you can at least avoid having to pay extra for your dog walker to feed your pet. Some dogs (or cats, for that matter) require special foods that differ from those your other pets eat. For example, your dog may require a low-calorie food if he’s overweight, or he may need food with a medication mixed in. An automatic pet feeder – particularly one that utilizes an RFID chip reader, which enables the feeder to distinguish between your pets – may help immensely in this regard. Some owners prefer to provide food to their pet on a continuous basis, rather than feeding them at specific times. Such owners may find that a gravity-fed automatic feeder makes this easier to accomplish. If you select a large-capacity model, you may only need to fill the storage compartment every other week or so, which will help eliminate the need to re-fill the food dish constantly. Some dogs may need to eat three or four small meals each day, rather than the typical twice-daily feeding schedule that suits most pets. For example, dogs who are prone to bloat may remain safer if they’re fed small amounts spread out throughout the day. Multi-meal automated dog feeders are excellent for these types of dogs, as most can be programmed to offer several small meals throughout the course of the day. If you want an automatic dog feeder for large dogs that works well and makes your life easier, you’ll need to be selective while choosing a model. Even if you only consider the best-made feeders, you’ll need to make sure that you pick one that suits the specific needs of you and your pet. Unfortunately, many automatic dog feeders are designed for relatively small pets. They typically feature relatively small feeding dishes and they only dispense a small amount of food at a time. However, there are a few models available that are suitable for large or giant breeds. All five of the automatic dog feeders detailed below will work for large breeds (those who weigh roughly 50 to 100 pounds), and a few will even work for giant breeds (those weighing 100 pounds or more). You may have to set the feeder so that it dispenses two meals at a time, rather than one. However, this is easy to do with most programmable feeders. Gravity-Fed Feeders – Gravity-fed feeders usually don’t require any power – they simply dispense food as necessary to keep the food bowl filled. These are great for owners who like to feed their dog on a free-choice basis, and they’re also great for owners who worry about power outages or mechanical failures. Rotary-Style Feeders – Rotary-style feeders usually feature five or six separate food compartments. When it is time for your dog’s meal, the spindle rotates and opens the proper compartment. These feeders often work with either wet or dry food, but they usually feature relatively small food compartments, so you may have to set them up to offer more than one meal at a time (or offer two in quick succession). Programmable Hopper-Style Feeders – Hopper-style feeders keep the bulk of the food in a large container, and only dispense the established quantity of food at meal times. Most models require you to use a built-in interface to program feeding times and quantities, but the very best models allow you to do so via your smartphone. Selective Feeders – Selective feeders are designed for multi-pet households. Most will only open (thereby allowing access to the food) when the proper pet approaches the unit. Most of these feeders utilize your pet’s microchip ID tag or an included RFID collar to distinguish between your pets. Some feeders (particularly programable hopper-style feeders) only work with a given type of size of kibble. Typically, this means that you cannot use kibble that is too large to fit through the opening, nor can you use kibbles that are made into shapes that don’t pass through the food opening easily. However, most of the hopper-style feeders detailed below reportedly work with a variety of different kibble types and sizes. Many automatic dog feeders for large dogs utilize an AC adapter to provide power. This is very convenient, except that it may mean your dog goes hungry if the power shuts off. However, there are a few models that also work via battery power. Such units may be a good choice for those who live in areas subject to frequent power outages. There is no shortage of automatic dog feeders on the market. 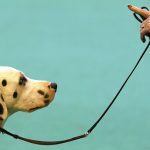 But unfortunately, many are substandard products, which will tend to frustrate dog owners more than they’ll help. Additionally, many automatic dog feeders are not suitable for large dogs. But we’re here to help. We’ve reviewed five of the best automatic feeders for large dogs below so that you don’t have to look through the hundreds of models available. Each of these automatic feeders should work for large dogs, and some will even work for giant breeds, like mastiffs and Great Danes. The PetSafe Automatic Feeder is a relatively high-capacity, fully programmable large dog feeder. It’ll not only help keep your dog’s belly full while you’re away at work or school, it’ll help make your life easier too. Unlike some other automatic feeders, which only work with kibble of a specific size and shape, the PetSafe Automatic Feeder uses a conveyor-style design that’ll work with a variety of different kibbles. Customer Reviews: Most owners who tried the PetSafe Automatic Feeder were very happy with their choice. A high percentage who tried the feeder rated it favorably. A few did, however, complain that the bowl was a bit small for very large dogs, but that’s a relatively minor concern, and it’ll dispense plenty of food for most big dogs. Bottom Line: The PetSafe Automatic Feeder is easily one of the best options on the market for large dogs. It comes with a variety of useful features and offers owners great feeding flexibility. One of the nicest features included with the unit is the “slow feed” option, which dispenses the food over 15 minutes, which can help prevent vomiting or bloating. The PetSafe 5-Meal Pet Feeder is a rotary-style automatic feeder, which can be used to offer your food five meals before needing to be re-loaded. 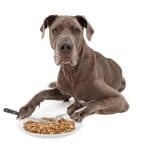 It isn’t the largest feeder on the market, but owners of large dogs can simply set it to deliver two meals in quick succession if a single meal compartment won’t hold enough food. Customer Reviews: Although the PetSafe 5-Meal Pet Feeder didn’t work out ideally for some owners, the vast majority found that it worked well and rated it very highly. A few noted that destructive or mischevious dogs were able to break into the unit, so it is probably best-suited for relatively calm and well-behaved dogs. Additionally, several owners reported that the unit’s batteries lasted for a very long time. Bottom Line: The PetSafe 5-Meal Feeder is a great option for many dogs, and it will help take the inconvenience out of feeding your pet. You may have to adjust the settings to provide two meals at a time if your dog is very large, but that’s not a huge problem. This is also one of the easiest feeders to keep clean, which makes it easy for owners to use. The LITTLE GIANT Galvanized Steel Dog Feeder is a gravity-fed dog feeder that makes it easy to keep your dog fed. Made without any of the loud and frightening moving parts that are included with most other feeders, the LITTLE GIANT Chow Hound is completely silent, so that even the most nervous dogs will feel comfortable using it. Customer Reviews: The LITTLE GIANT Galvanized Steel Dog Feeder received really good reviews from most owners. Several noted that their pet would readily eat from the device, despite being afraid of other, louder units. Additionally, several large dog owners were pleased with the feeder’s generous capacity, which prevented them from having to reload it constantly. Bottom Line: If you have a large, but sensitive dog, who’s frightened of the sounds motorized feeders make, the LITTLE GIANT Chow Hound is a great option. 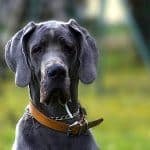 It contains plenty of food for even the largest dogs, and it has an opening large enough to accommodate their heads too. If you like to feed your dog in free-choice fashion, this is easily the best automatic feeder on the market. The SureFeed Microchip Pet Feeder uses unique technology to keep your pet fed, as the food cover will stay in the closed position until your dog’s RFID chip triggers it to open. This means that unlike some other automatic feeders, which strive to make it easy to feed your pet multiple meals, this automatic feeder is instead designed to make sure that a specific pet gets a specific food. Customer Reviews: The vast majority of owners who tried out the SureFeed Microchip Pet Feeder were very happy with their selection. The RFID chip reader appears to work very well, and the design makes it very difficult (if not impossible) for unauthorized pets to access the food contained inside. Bottom Line: The SureFeed Microchip Pet Feeder is most appropriate for homes with multiple pets. 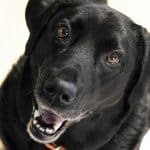 It is not only helpful for ensuring that your dogs don’t steal each other’s food, it is helpful for dogs who need to lose weight or require prescription foods. Although the SureFeed Microchip Pet Feeder probably won’t work well with giant dogs, it should hold enough food to keep most large breeds full. The PetSafe Smart Feed Automatic Dog Feeder is a cutting-edge product that allows you to use your smartphone to feed your pet (or schedule his next meal). You can schedule up to 12 meal times or simply select the “feed now,” option. You’ll also receive updates on your phone verifying that the meal was dispensed at the proper time. Customer Reviews: Most owners were very happy with the PetSafe Smart Feed Automatic Feeder. Most reported that the app was intuitive and easy to use and that the convenience this automatic dog feeder provided made it an excellent solution for their needs. A few very intelligent pets learned to push the “feed now” button themselves, but this problem can occur with almost any feeder. Bottom Line: Because you can change the feeding schedule from anywhere, this is an ideal choice for owners on the go. It is not only large enough to work for the biggest dogs around, but it should work well with your dog’s current food, thanks to the dispenser’s flexibility. You will pay a little more for this large automatic dog feeder, but because it is one of the few automatic feeders on the market you can control from afar, it is well worth the additional cost. As you can see, there are several high-quality large automatic dog feeders from which you can choose. Just be sure to select the model that best fits the needs of you and your dog, and you’ll be enjoying the convenience of automated meal times before you know it. SureFeed Microchip Pet Feeder photo courtesy of FloppyCats.com.